Professor Margaret A. Neale is the Adams Distinguished Professor of Management & recipient of the Robert T. Davis Award for Lifetime Achievement at the Stanford Graduate School of Business. Neale’s research focuses primarily on negotiation and team performance. Her work has extended judgment and decision-making research from cognitive psychology to the field of negotiation. In particular, she studies cognitive and social processes that produce departures from effective negotiating behavior. Within the context of teams, her work explores aspects of team composition and group process that enhance the ability of teams to share the information necessary for learning and problem-solving in both face-to-face and virtual team environments. Gail Davis: Margaret Neale is the Adams Distinguished Professor of Management at Stanford University. In 2011, she was honored with the Robert T. Davis Award for Lifetime Achievement at the Stanford Graduate School of Business. Her [00:01:00] research interest include bargaining and negotiation, distributed work groups and team composition learning and performance. She is the author of over 70 articles on these topics and is a co-author of three books. I'm very much looking forward to our conversation today and would like to welcome you to the GDA Podcast. Kyle Davis: Hey Margaret. How are you? Margaret A. Neale I'm good. Thanks for having me. Kyle Davis: Well, it's always a pleasure to have a person from the academy on. Gail Davis: I would [00:01:30] love to start with what your background is that led you to where you are today. Margaret A. Neale Well, it's a securitas route at best. I have an Undergraduate Degree in Pharmacy, a Master's in Hospital Pharmacy Administration, a Master's in Counseling Psychology, and a PhD in Organizational Behavior. So it looks pretty broad. As I look back, I can see the threads that made it all sound reasonable. [00:02:00] But I was planning on being a physician when I was in high school. I thought rather than being a premed student, I'd be a pharmacy student. So you could check that box. Then I realized I didn't really want to be a physician so then I went, "Well, I guess I'll go to graduate school in pharmacy." Then I discovered psychology and the study of psychology while I was in pharmacy school, grad school. After [00:02:30] getting my Master's in Hospital Pharmacy Administration, I switched to Counseling Psychology. 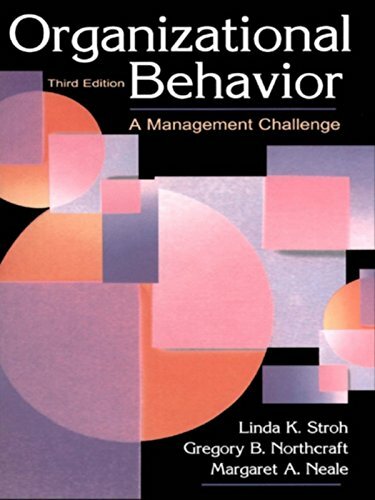 While I was taking classes in Counseling Psychology, I discovered organizational behavior. Simultaneously realized that if I actually got a PhD, I could be paid to be in school rather than to pay to be in school. Gail Davis: That is what you really learned along the way, that's awesome. I know that we've worked together several [00:03:00] times. It's been with large Fortune 100 companies. Oftentimes, they have you come in and speak to their top level executives who are on the fast track. At that time, I think you were really honing in on the challenges for women when they negotiate. I'm just really curious, do you think it's different? Are there different challenges and surprises for women versus men [00:03:30] or is it more similar than we would think? Margaret A. Neale It turns out there's a lot of similarity but there are some big differences. The big differences really relate to how society responds when women attempt to negotiate. Let's imagine if there is a man and a woman who are attempting to negotiate the terms of their employment contract. Let's say that we have a script. [00:04:00] The man uses the script, sticks closely to the script. The woman uses the same script, sticks closely to that script. If you watch what happens with the employer, male employers will penalize the female for attempting to negotiate in ways that they do not penalize the male. They will perceive the female as being greedy and demanding. [00:04:30] They won't have those negative attributions about a male. Now, interestingly, the research suggests that if the employer is female, she will actually punish both parties. So, there are some differences but there is also some similarities. Kyle Davis: Where does the ... It's been a while since I've taken a psychology class. But where does that implicit bias come from that's just [00:05:00] innate within people whether it be a male employer or a female employer? Margaret A. Neale Well, implicit bias really comes from our associations that are made fairly early on. The associations are not malevolent. For example, most children, the primary caretaker is the female. Mom is there. As the child grows up, it's just like a child learns [00:05:30] the difference between a tree and a shrub. Over time, you get a lot of experiences of what a tree is. These are the characteristics of trees and this is the characteristic of shrub. You know when you see this thing with a tall trunk and a lot of leaves at the top, it's probably a tree and not a shrub. Good trees look like this and bad trees look like that. Right? So you begin to develop not like the sense of descriptively what a tree is but also normatively what is good or bad. [00:06:00] As we are growing up, our mom is maybe the primary caretaker. She's a female and maybe we're in a traditional family. Dad is not primarily care-taking but doing other things more associated outside than inside the home. The mom is more inside than outside the home. Then what happens over time is we begin to develop these prescriptive beliefs. Well, this is what women should do. [00:06:30] This is what men should do. Then we go out into the workplace with that whole set of beliefs that are not really conscious. They're so deeply ingrained. Then we create organization's environments that reflect a lot of those beliefs without really necessarily being conscious about them. That's the nature of implicit bias. It's not that I'm biased against women or biased against people [00:07:00] of color. It is that these biases play into my day to day interaction in a way that I'm not conscious of. Kyle Davis: Just more I guess to put a bow on at least in the negotiating tactics between women and men, do you think that's a byproduct of our society being more geared towards men being the leaders versus some other cultures that mostly have women [00:07:30] and different things like that? Is it a east-west thing or ... You know what I mean? Margaret A. Neale No. It's not really an east-west thing. It's probably more a species thing. Kyle Davis: More a species thing? Got it. I was really just hoping for something so we could blame it on, so something like that. Margaret A. Neale Maybe the bonobos, that particular band of non-human primates that were matriarchal. I hear there amazon somewhere, Wonder Woman came from a matriarchal society. Kyle Davis: I saw that movie last night. Margaret A. Neale Yeah. For the most part, we're talking [00:08:00] about patriarchy. I think that what's important to understand is that this is not what men do to women. This is what we have all been socialized. In effect, we've all drunk the Kool-Aid. Part of it is I, as a female, understand how society and how, because of my socialization, believe that I should behave. I should be nice. People should like [00:08:30] me. When I have to lead an organization, the contradiction becomes really critical because the things I have to do to ensure that people like may be quite a bit different than what I have to do to ensure that the organization moves forward. For women, they face this continual conflict between being liked versus [00:09:00] being competent. Gail Davis: You mentioned another type of bias that's out there which is possibly racial bias. For me, in my perception, it seems like over time with new generations, that's changing. Does the male-female bias, has it changed with new generations along the way? Margaret A. Neale There is a lot of hope especially among the millennials that this is a new world and a new change. We don't [00:09:30] see any empirical evidence to support that. We see women behaving differently. For example, let me talk a little bit about leadership, Kyle talked about leadership being primarily male. It turns out that there was a recent study done which was what's called a meta-analysis. They took the results of almost a hundred studies on leadership. They ended up with hundreds of thousands of data points. What they did was they were looking at two specific [00:10:00] questions that is, "How do men and women leaders rate themselves? Then how do the subordinates of men and women rate their leaders, their male and female leaders?" They found it very interesting, one not particularly interesting but one really interesting result. The not particularly interesting result was they found that male leaders rate themselves as more effective than do female leaders. [00:10:30] Males typically are more confident about their abilities in this domain than women are. This is not a surprising finding. What was surprising to the researches was when they looked at the ratings of subordinates of their leaders, they found that women leaders were rated more highly on their leadership dimensions than were male leaders in all industries except for two. [00:11:00] Dare a guess which two industries that was? Kyle Davis: I'm not even going to try. Okay. I'll take a crack at it. Gail Davis: I think technology is going to be in there. Gail Davis: Oh that was good. Margaret A. Neale And government. Margaret A. Neale Technology, one of the things about technology, the technology industry is they so need innovation. [00:11:30] The two industries where men were perceived as better leaders were industries that were characterized by command and control, right, hierarchy. In the other industries, it's more collaborative. Women on average tend to be more participative, more collaborative than their male colleagues. Kyle Davis: Silicon Valley gets a lot of flag for not having enough women. Even in my time there, at least in the company that I worked with, it seemed very, almost like a 50-50 split or at least with public facing [00:12:00] individuals, not so much on the engineering side. You see that real push versus I'm thinking of a more traditional or legacy industries like investment banking. You don't see that many women or anything else like that. I guess my question for you and this goes into the composition aspect of creating a team is like what does that do and how does that yield results? Especially when innovation, and we're in a period of innovation, is so important? Margaret A. Neale [00:12:30] Well, that's a very interesting question because one of the things, it brings into sharp relief is that how organizations are structured may not be optimal. There is this notion that well, if this is what organizations do, it must be good. What happens is we have a lot of inertia. Organizations, for example, that were command and control also were created and brought into fruition [00:13:00] during a time when women weren't in the workforce in the numbers they are now. That notion of creating that bias, the implicit bias about who can lead, that's what was so surprising about this research. I think that becomes so critical to understand is that what we see changing is we see actually that women are being perceived as better leaders on average than men. There's another interesting little twist to that. [00:13:30] It turns out that there was another series of studies done. What they found was is that whether men or women were perceived as better leaders depended upon the age of the male or female, and that men were perceived early on in their 20s to late 30s as being better leaders than women. But once you hit about 40, women [00:14:00] began outperforming males on this leadership notion. Gail Davis: What do you think what happens at 40? Are they through juggling kids? Does that play into it? Margaret A. Neale It could be this, basically have their family situation set. Maybe they're more comfortable with themselves and with leading. This dominance of female leaders continues all the way through until about 65 or 70 when [00:14:30] now the men begin ... They don't take over but they begin to take over. Kyle Davis: You mentioned that a lot of companies maybe aren't optimized or aren't set up in an optimal way based off their composition or structure. I mean, maybe it might vary from industry to industry but enlighten me. What is optimal or what are you finding to be optimal? Margaret A. Neale Well, part of the issue is if you are systematically keeping out 52% [00:15:00] of the population from being potential contributors to your organization and you're under-utilizing females, you're losing a lot of capacity. Think about just engineering, right. You mentioned, the engineers, they were mostly males. Well, when you ask firms that use a lot of engineers, why don't you have females? They say, "It's the supply line. We don't have [00:15:30] any females." Well, it turns out that just as an example, in 2014, the most popular undergraduate major of Stanford women was computer science. Kyle Davis: I believe it. Margaret A. Neale There's a lot of women out there. The question is, are you looking in the right places or are these biases so endemic that you miss [00:16:00] some amazing people because of your expectations. There was a really cool study done. There is a company called Speak With a Geek which is a tech recruiting company. What they did is they sent out to their customers, the organizations, 5,000 resumes, males and females, people of color, that sort of thing. [00:16:30] About 5% of the individuals who were chosen by these companies for interviews were female. So that's the comparison, 5% when they had the pure resumes. They sent out these resumes to a matched sample of another client. But they stripped out [00:17:00] gender and ethnicity information. Now, 54% of the people called back were women. Kyle Davis: Do you believe that that makes a legitimate case? I mean, I'm a huge fan of the blind application, whether it be for school or for jobs, like removing names, removing gender, different things like that? Margaret A. Neale Yeah. It makes a huge ... There was a wonderful study that was done [00:17:30] to economists in terms of symphony orchestras. Kyle Davis: I remember this. I was about to bring it up but thank you for giving this up. Margaret A. Neale This is pretty stunning because my economist colleagues would say the only thing that really counts in a symphony orchestra is how a good musician you are. Who cares what gender you are or race you are? I mean, seriously? So what they did is they actually had people audition behind a curtain. As soon they auditioned [00:18:00] behind a curtain, the probability of a female moving forward in the audition process went up by 50%. The probability that she would find a seat in the orchestra, by 250%. Simply by having them audition where you couldn't see the gender. Kyle Davis: That was in Freakonomics, wasn't it? I'm trying to remember the book that I read in. Kyle Davis: I was trying to give people the non-academic easy wonder literature. Margaret A. Neale Oh yeah. Well, Freakonomics is a great book so you should read that anyway. Margaret A. Neale There is a lot they can do. Gail Davis: Good. Good. I was starting to get a little depressed here, Margaret. Margaret A. Neale I know, well, that often happens when I give talks on this topics. One of the things that they can do is that they can realize that when women negotiate for themselves, they are [00:19:30] facing an uphill battle. Battle is the right word because for most of us, when we think about negotiation, we think of it as a battle. That battle is characterized by, "I'm going to try to get stuff from you that you don't want me to have. I'm going to try to keep you from getting my stuff." When we engage in this mindset of a battle, then we, and our counterparts because they're looking at this in exactly the same way [00:20:00] have this filter that the battle creates, this battle mindset creates that increases the likelihood that we will interpret our counterpart's behavior in the worst possible way. Rather than thinking about negotiation is battle, rather than invoking that kind of armored up mentality of your counterpart, what my research and my work with women and men suggest is that the [00:20:30] best thing you can do is transform your perspective from negotiation is battle to negotiation as collaborative problem solving. Now, I have three very clear dimensions that contribute to this perspective of collaborative problem solving. The first is that when I'm thinking about how do I fashion a proposal as a solution, that proposal for me, [00:21:00] as the focal negotiator, the one in the center of this, I need to make sure that the deal that I'm proposing makes me better off, better off than my status quo, better off than my alternatives, literally, better off than had I not negotiated. Now, that may sound like a low bar but all of us, if we are really honest with ourselves have taken, have said yes, have taken a deal [00:21:30] that at the moment we said yes, we knew we would have been better off walking away. But we privileged agreement. So the first one is, "I got to get a deal that's good for me." Second one is there is no command and control in negotiation. Because of this, I really need to understand my counterpart, what motivates them, what their preferences are, their interests are, what their goals are. Why are they at the table with me in effect? [00:22:00] Then I need to think about my proposal because I need to have a proposal that at least, from their perspective, keeps them whole or perhaps makes them better off because otherwise, there's no reason for them to say yes to me. Third, and most importantly, when I identify a proposal that I want to have my counterpart consider, I'm going to frame that proposal [00:22:30] as a solution to a problem that my counterpart has. It is that framing which makes it so much easier for my counterpart to see this interaction as being positive, as opposed to being a battle. One of the things, the jokes I make about me is I do research in negotiation. I teach negotiation. I write books in negotiation. [00:23:00] My colleagues are quite willing to see, every time I engage in a conversation, they're like, "Are we negotiating?" 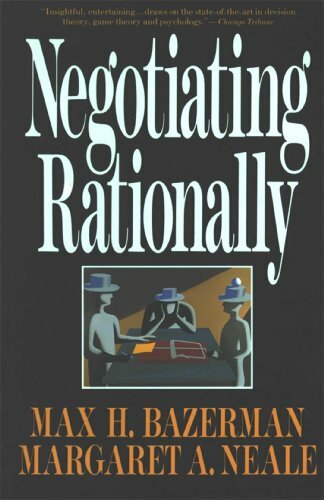 One of the things that I have learned from my own experience, plus through experience of my research, is I don't negotiate. I help people solve problems. Now, I solve problems in ways that are good for me. But I actually frame my solutions, frame my agreements [00:23:30] as solutions to problems that my counterparts have. Making this change changes how you negotiate. Gail Davis: Does that change? Obviously, it would work well for women. Does it work well for men as well? Margaret A. Neale It does because after all, if I see negotiation as a battle, think about, even if I were a male and I wanted to go in as an academic, I want to go in and get my dean to [00:24:00] give me more resources. I want to negotiate for resources. How stupid would it be for me to go in there with a chip on my shoulder ready for a fight? I mean, he's going to see that and respond in kind. So my view is let's just think about negotiation not as a battle but as a solution to problems that we have. In fact, more importantly, the solutions I propose are solutions [00:24:30] to problems that you have because how can you see me, either male or female, as being greedy or demanding or not nice when I'm helping you solve your problems? Kyle Davis: What do you think about companies that are making the push to have a very transparent open dollar amount? I'm using negotiation as far as how we get the job and negotiate our pay rate and stuff. So companies [00:25:00] like Google that say, "This is what we're going to pay you based off of your experience and it's just upfront from the beginning," is that a benefit to everybody or is that just somebody tinkering with the way things used to be? Margaret A. Neale It sounds really good. Let's just be transparent. If companies were truly transparent, I think that would probably be a good idea. I'm a real fan of having people have knowledge about what other folks in their organizations are paid. [00:25:30] But when it's not transparent, that is when they say, "Trust us. We have done the analysis. This is what you are worth," I'm a little less convinced that it's a transparent process. Even organizations that characterize themselves as data driven meritocracies, and there is a whole series of studies that looked at organizations [00:26:00] that have this characteristic. What they find is what basically the organization suffers from is what researchers have called moral licensing. Let me tell you the effect they find. Then I'll tell you what moral licensing is. What they find is is that if an organization has a real commitment to meritocracy and data-driven decisions, they are actually more likely to discriminate [00:26:30] in salaries and in bonuses. Why? Moral licensing. What's moral licensing? Moral licensing is like giving yourself permission to have the cheeseburger because you worked out. Kyle Davis: I mean, you know. Margaret A. Neale Here they are. Here are these managers who are in this organization who says, "Hey, we are so committed to data-driven decisions and meritocracy. Because I adhere to that cultural norm, [00:27:00] I actually give myself a pass because obviously I am a good person and I do care about meritocracy. That's why I work here. Therefore, I don't even consider the possibility that I might be using other dimensions on which to allocate racist and compensation." It's the lack of attention to the probability that even those folks who have good intentions can behave badly. Kyle Davis: I'm the diversity hire. I'm curious, all joking aside, what can companies do to not have ... It's easy [00:28:00] for me to go find people like myself. But I know that I won't grow up, I don't have people who would really challenge me, which means I need people who are different than me. What can companies do to really make a better composition of their team so that they can actually trend towards growth and not stagnation? Margaret A. Neale Well, I think there are a couple of things they can do. There's actually a lot of things they can do. But let me identify a couple of them. One is that there before you go into the hiring market, identify the criteria by which a person would be a good employee [00:28:30] and check that that criteria is actually what you are looking for because ... I'm talking about a very structured process because what happens is if you don't structure that process, if you don't have it clearly written, then what happens is people begin to adapt the criteria in order to serve as hiring particular folks. There was a study done [00:29:00] with hiring police captains which is a traditionally male job, right. What they did is they said they went to a group of folks who were hiring this type of job around the country. They said, "What are you looking for?" They just asked them, "What are you looking for?" There are really two big dimensions you could think about. This was the focus of the study. They said, "Do you want experienced applicants or do you want highly educated applicant?" [00:29:30] These folks overwhelmingly preferred education over experience. Then they were confronted with a couple of resumes from folks one of which dominated in education and one of which dominated in experience. Robert Miller, when they saw that vita, had more education and less experience. [00:30:00] Then Kathy Miller had more experience and less education. They chose Robert, which is consistent with what they had said. Then they switched the names on the vitas so that Robert now had more experience and Kathy had more education. And they still picked Robert because now experience was more important. You have to be very [00:30:30] very disciplined in the criteria that you state about what you want in this position because if you aren't, you're going to hire the same kind of people over and over again. You also need to make sure that criteria is the right criteria. Carnegie Mellon University had real trouble getting a computer science major to have any proportion of woman, is a very tiny portion of women [00:31:00] that got into their computer science major. Now, just remember, I told you that the most popular undergraduate major for Stanford women is computer science. Here, we have Carnegie Mellon who has having trouble basically upping the gender quotient of these computer science majors. When they reevaluated their criteria for admission, they realized that they had put in as one of the criteria, " [00:31:30] Substantial experience in computing." Now, at first blush, that sounds completely reasonable. I mean, after all, it's the computer science major. But if you dig just a little deeper, think about if you were majoring in pre-med, would you have to have a lot of medical experience or if you were majoring in engineering, would you have to have a lot of engineering experience? No, [00:32:00] that's what the degree will help you get. As soon as they took out that criteria, over 40% of the class was now women. Gail Davis: Interesting. I want to go back to just a minute ago, you were talking about the fact that you're a fan of transparency in organizations with salaries. Gail Davis: [00:32:30] Before I started this company, I spent 20 years in a very conservative company where discussing your salary was grounds for immediate termination. I guess that just sunk in. I guess I never really revisited my view on that. But it was just salary is a individual thing. I'm really curious as to what you think the benefits are and why you're a fan of that. Margaret A. Neale Well, there are a couple of reasons. Number one, if salary is secret [00:33:00] and you assess how people perceive their peers being evaluated or being compensated, people will over estimate the compensation of their peers. "Kathy's being paid more than me. I do better work than Kathy and she's being paid more." Right? Because what happens is peers are actually ... If you look at the performance appraisal literature, peers are actually the most accurate assessors of who's doing a good or a poor job much [00:33:30] more so than supervisors. If peers always think generally that their peers are being paid more than they are, this is just a well of unhappiness and a sense of disconnect between doing basically a meritocratic system. Also, if you hide salary information, it's pretty easy [00:34:00] not to be disciplined in making sure that your salaries are fair. Part of what you have to continue thinking about is, "Why am I hiding it?" I mean, what is it about the secrecy that makes this, if you violate it, a firable offense? After all, if it's my salary, why shouldn't I be able to talk about it? The most obvious reason is because [00:34:30] what you're paying me for the work that I do and what you pay my colleague who's doing exactly the same work is different. Kyle Davis: Yeah. When I was working, I mean, maybe this is just again, more of this new age of businesses that are cropping up and the new wave if you will. When I was in San Francisco in the Silicon Valley area, it seemed like every position had like, "Here's how much we pay for this position." Then you can move [00:35:00] up through the ranks but it's almost like government pay. You go from one government level to another government level and you know what it is versus having a negotiated rate where you might bring in an outsider to run your sales team or your traditional organization. You had to pay them X amount versus having an established rating system. Does that make sense? Margaret A. Neale Yeah. That doesn't seem ... So I think that a lot of times, organizations will try to convince you that that is what they do. Kyle Davis: [00:35:30] So I've been lied to? Margaret A. Neale But I don't think that's what they do. Kyle Davis: One of the things though that I do know that you focus and spend a lot of time on is these group processes to really help shape teams, how they can improve their performance, improve their learning and problem-solving skills and everything else. What are we doing right? What are we doing wrong? Where do you see this going in the future? Margaret A. Neale Well, I think that [00:36:00] what we're oftentimes doing, what's happened now is that people have become more sensitive to the fact that they are biased and that these biases are not motivated. It's not like, "I want to be a sexist or I don't want to have women in the organization." But these examined processes lead to the systematic outcomes. As a result, we've got a lot of effort in the Valley here, in Silicon [00:36:30] Valley by organizations who really care about making sure that they have the requisite diversity because if there's anywhere where innovation is important, it's in Silicon Valley. If you're going to have innovation, you need to have different perspectives. You need to have good team processes in order to realize the unique perspectives that these people bring to the organization. It's not just enough to have a diverse team. [00:37:00] You've got to have a set of skills in that diverse team that allows that team to hear dispirit information. It allows team members the capacity to speak especially when they disagree. Those are not easy things to do because we've all been influenced, that we need to go along to get along. That is a recipe [00:37:30] for failure in an innovative environment. But it doesn't mean that you have to be a complete jerk, right? I'm not suggesting that we just go out and ... You have to learn because we have to basically motivate people to share their uniqueness. Then allow the team to be able to hear that and go from what we call a dissonance, lots of different opinions. Let a thousand flowers bloom to [00:38:00] solutions. We have to go from this expanding the perspective to actually coming back to a solution. That process is very difficult for teams. Don't make the simplifying assumption that simply because we've spent our lives in social groups that we're good team members. It takes a lot of work and effort. 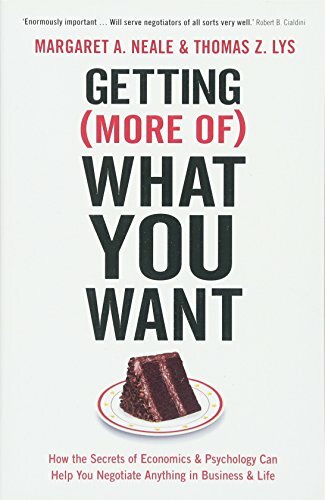 Kyle Davis: I'm glad that you mentioned that because I'm a huge fan of process and procedure not so much because [00:38:30] I'm a rules-oriented person but because it establishes a framework from which you can build off of and communicate better. When I have a disagreement with somebody and say, "Hey, have you really thought about this? What are you doing? I don't think that result's going to come back this way." With me saying that knowing that we both share the same vision that the end goal is what we're going after and it's not the here and now that matters so much. I'm wondering if you could talk maybe a little bit more to the importance of the team process or maybe what this [00:39:00] process looks more like in a general framework to have open discussion and discourse that leads to favorable results that are more narrowed and focused. Margaret A. Neale Well, it's not enough to just walk into your team today and say, "Okay. We're going to have open discourse. Let's go." It really something that you have to manage very intentionally. That management starts off when the team is formed. [00:39:30] One of the most important and I think underused times in a team's life is the launch meeting. That launch meeting is so critical because it's the time where we actually begin to set the culture of the team. Part of what happens in a successful launch meeting is that people, we have a very clear discussion of the mission of the team [00:40:00] and the goals and values of the team because where you don't want diversity is in people's perception of the goals and values that the team holds and implements. You want diversity and perspective. You want diversity and information. You want diversity and expertise but not diversity in the people's perceptions of the mission and goal of a team. When you have that kind of diversity, your team is destined [00:40:30] to fail because you're not going to get people to be willing to share a unique perspective they have. They are not going to feel trust that they're safe in that team. So what's going to happen is they're going to self-censor. You're going to just get the party aligned. So critical in that first meeting that you have this discussion because once we have a [00:41:00] sense that our teammates all have the same goal in mind, then we are much more capable of hearing differences and different ways of accomplishing something. We are agnostic as to how we achieve that goal but we know that you and I have the same goal. Where I get much more resistant to hearing your unique perspective is when I don't trust your motives and I don't trust that you and I are [00:41:30] aligned in our values. Kyle Davis: I understand the importance of being in alignment. But I'm curious, you mentioned being agnostic as to how we get there. Do you find that maybe more established companies have issues with new ways of getting to a solution versus a young agile start up or am I just making nonsensical comments? Margaret A. Neale No, I think what happens is is that you have many more policies and procedures in [00:42:00] a larger company. Being larger, the ability to move quickly is very difficult. What happens is over time, why are they still there? They've been successful. What happens? Success breathes inertia. You get bigger and bigger. It's harder and harder to turn the ship. One of the benefits of these small startups is you kind of confirm really quickly and you don't have a history of success [00:42:30] so that you're not being bound to something. You got to watch out because what happens is is that if you have some early successes, it becomes harder to maintain that problem-solving mindset because you say, "Well, we didn't like this. We had this great outcome. So let's keep doing it like that." Kyle Davis: Well, let's keep doing it however we can do it to get it done. That's what I have to say. Well, I think that's a good place for us to wrap up. If you would like to have [00:43:00] Margaret Neale come and speak for your event, corporation, company, organization, whatever it may be, you can do so by contacting GDA Speakers. The phone number is 214-420-1999 or you can go to GDASpeakers.com. For the transcripts, books and everything else, you can go to GDAPodcast.com. With that being said, thanks, Margaret. Gail Davis: Thank you, Margaret. Margaret A. Neale Thanks, guys. Really appreciate the opportunity to spend some time. Kyle Davis: It was a pleasure.